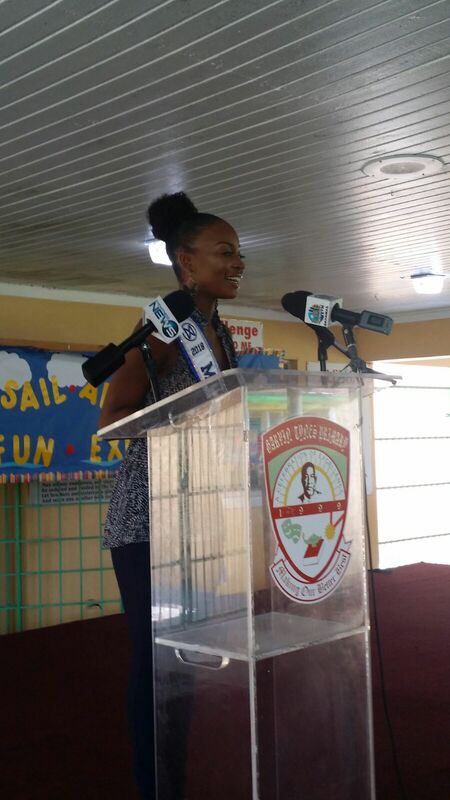 An outpouring of love would best describe the atmosphere at Garvin Tynes Primary school where Miss World Bahamas Brinique Gibson popped in to speak to the young students about making healthy choices. The petite beauty queen was almost swept away on more than one occasion by the exited students who all wanted to give her a hug or 'high five'. The children listened attentively as she urged them to eat right in order to have a healthy life. Brinique also read to the students of the school's autism center while there. Brinique tees off with TIG and AIDS Foundations. 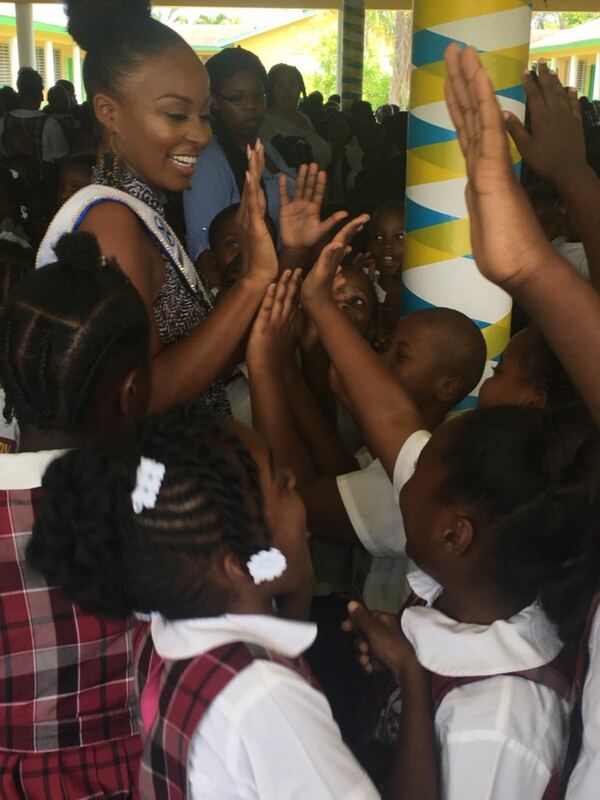 Bosslady Brinique is the new Miss World Bahamas!